Former India cricketer and ICC Men’s Cricket World Cup 2011 winner, Virender Sehwag helped to marshal the newly emblazoned aircraft out of the Emirates Engineering hangar. 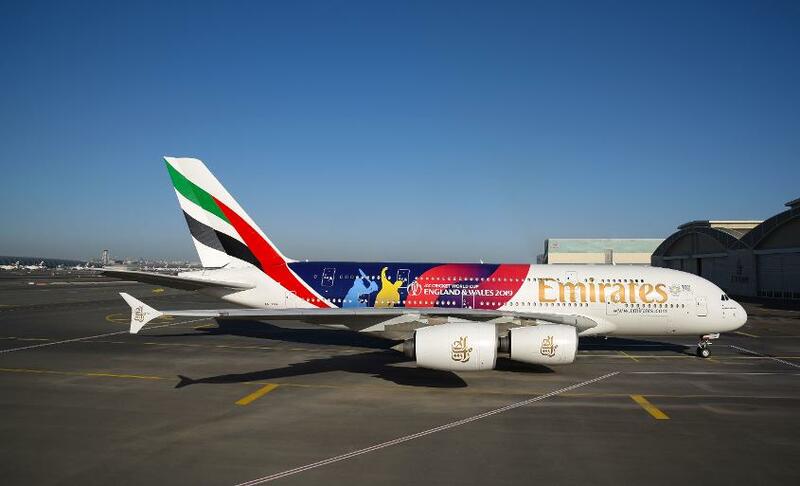 The players were accompanied by Emirates Engineering staff who had worked on installing the decal, and who were later treated to a game of mini-cricket by the aircraft. The ICC Men’s Cricket World Cup trophy also made its debut at Emirates Engineering earlier this morning, where excited employees got the chance to take photos with the iconic trophy. 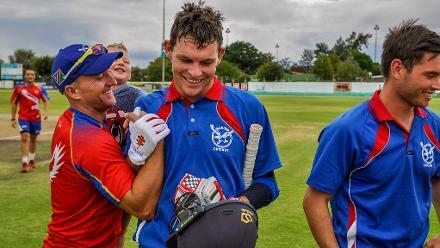 In the UK, Emirates is also the official sponsor of Durham County Cricket Club and Lancashire County Cricket Club, including naming rights to both clubs’ playing grounds and their respective T20 representative teams.